Archival photo supplied by British Home Child Group International. As a child, Sandra Joyce always knew that she was of Scottish descent. It would be years before Joyce learned the true story of how her dad, who worked at Seton House in Toronto helping homeless men, made his way to Canada in 1925 as a 15-year-old. Robert Joyce was one of more than 100,000 children from the British Isles brought here over several decades beginning in the late 19th century, a forced exodus of humanity known today as the British Home Children. The unaccompanied minors, some orphaned, many more from impoverished families, were brought over to work as farm labourers or domestic servants. While the bulk stayed in Ontario and Quebec, many were dispersed across the country and left in the care of complete strangers. Today, Joyce is speaking about the story of her father and the British Home Child era through books and frequent stops in cities across the country. On Monday, May 2, she’ll be the guest speaker at an event hosted by the Canadian Federation of University Women-Calgary (cfuwcalgary.ca); she’ll also be at the Calgary Public Library’s Signal Hill branch at 7 p.m. on Tuesday, May 3. If you had told Joyce a decade ago that in 2016, she would be one of the country’s leading voices on the issue, she wouldn’t have believed it. It’s not difficult to understand why such a little known part of our nation’s history would captivate someone with both a professional — Joyce studied journalism at Ryerson University — and personal interest. According to Library and Archives Canada, between 1869 and the late 1930s, more than 100,000 under-age migrants were sent to Canada from the British Isles. Many believed they were giving the children a chance at a better life. However, there was little followup done on the young newcomers after they were placed in homes and farms across the country. According to Joyce, who says the migration in fact continued well into the 1940s, more than 10 per cent of Canadians descend from the British Home Children. Because of the stigma associated with being an orphan from another country, though, many people today still don’t know their origins. During the two world wars, thousands of those transplants fought for Canada. Some of it was no doubt because of loyalty to their adopted country. In many cases, though, it was a chance to once again lay eyes on their place of birth. In recent years, there has been some recognition of this part of Canada’s history, one that contains both stories of success and tragic tales of abuse. For her part, Joyce has no plans to stop speaking out. Through the international organization British Home Child Group International (www.britishhomechild.com), she and fellow advocates assist people in researching their possible British Home Child roots. She’ll also continue to travel across the country sharing her own story, one she says has helped her to understand her father and enrich her life as a proud descendent of a British Home Child. “My father was very distant — he didn’t grow up in a family so never learned how to connect emotionally,” she says. “Knowing why brought healing to me and my family. I now try to help other families find this healing, this sense of belonging. September 26 by Greg Mercer. Fanshawe Pioneer Village in London, Ont., will host a gathering for descendants of British Home Children Saturday, Sept. 26, and Sunday, Sept. 27. It’s believed as many as one in 10 Canadians can trace their ancestry to a Home Child, but those family histories were often suppressed, because the orphans were hesitant to talk about it. The gathering will be a chance to share those families’ stories, research genealogy and more, she said. Joyce’s own Scottish-born father Robert Joyce was left at an orphanage at age nine and shipped to Canada. She didn’t learn he’d been a Home Child until after his death, and it helped her understand her father better. “Being told they were going to the land of milk and honey, where money grows on trees, and winding up in a place where it’s worse than you were before, it must have been quite the shock,” Joyce said. 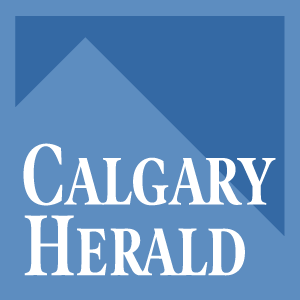 “…The shock of dislocation and severance from family, the shame of being identified as worthless and the general lack of nurturing in their new Canadian homes, scarred many of the children, says Sandra Joyce, author and executive director with the advocacy association. The home children then grew up to be adults, who, without having had a good experience of a loving home themselves, tried to be parents of their own families. Like soldiers with post-traumatic stress disorder, they had psychological baggage, but did not talk about it. Re: “Don’t bother,” Letter, Oct. 15. Kathleen Rabey feels the plight of the British Home Children is unworthy of attention because they were white, probably Christian and not a visible minority. I would like to clear up a few of Rabey’s misconceptions. Some 118,000 children were sent from the U.K. to work as indentured farm workers and domestics, right up till the Second World War. Their ages ranged from four to 16, with the majority being 10 to 14 years old. Indentured till they were 18, they were transported from the U.K., sometimes without parental consent, to work in Canada. Very few were orphans. Most were separated from their families, never to see them again. In Canada, they were stigmatized as “Home Children, gutter snipes, street rats,” and many were shunned by the communities they were placed in. Some were treated well, but many suffered horrific abuse, and if their cries for help were heard, they were probably just removed from the situation and placed somewhere else, some up to 20 times. My father was a British Home Child and he never saw his family again. He entered Canada and was sent to an isolated farm within a few days. He felt he had to run away from three placements. On Oct. 17 from 7:30 to 9:30 p.m., genealogist Karen Mahoney and I will be at Shelf Life Books in Calgary speaking about this huge part of our history, and on Oct. 18, from 1 to 4 p.m. at the Calgary Public Library, along with MLA Neil Brown, who feels the children deserve their place in Canadian history. 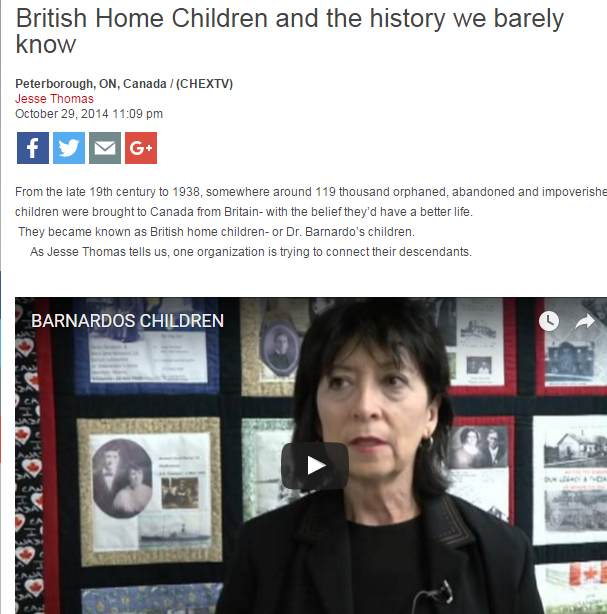 A Toronto author who has written about British Home Children – orphans brought to Canada in the late 19th and early 20th Century to work on farms – is calling for Ottawa to apologize for allowing the practice. 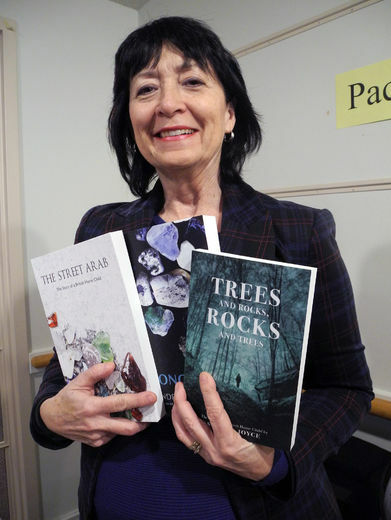 “An apology is important because it would lead to the reunification of families,” said Sandra Joyce, who has penned three historic-fiction books on the topic. 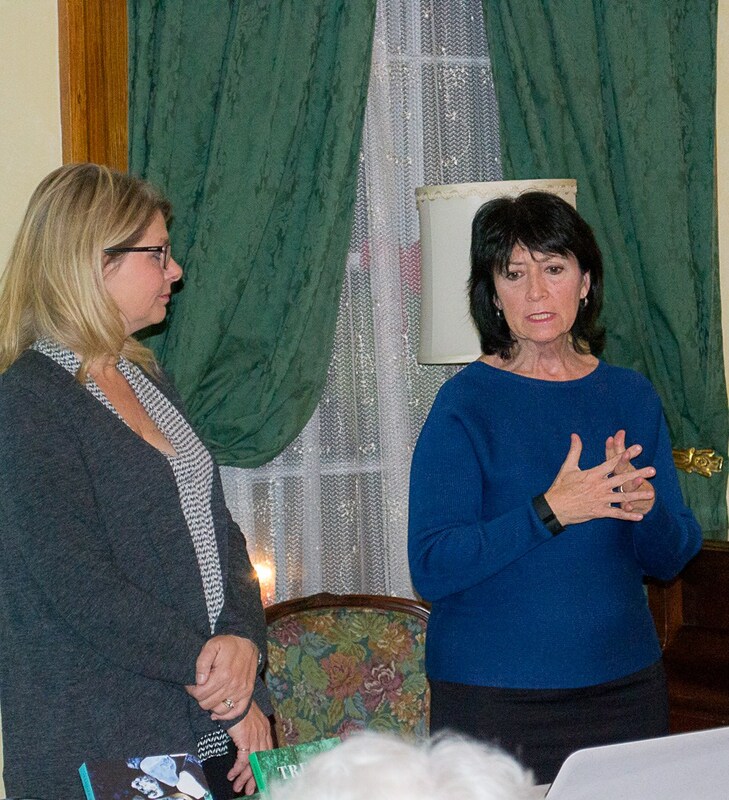 An official statement from the prime minister would shine a light on the story of the 100,000 children who were brought here from orphanages, said Joyce, who spoke at the Eva Brook Donly Museum on Jan. 28. That would in turn get descendants of home children thinking and to start looking for lost relatives, she said after speaking to a crowd of about 25 people, some of them descendants of home children. Joyce didn’t know her father was a home child until after he died. It was during a visit to Pier 21 in Halifax, the point of entry for immigrants to Canada in the 20th Century, that she discovered her dad and his brother had been sent here from an orphanage. She and her sister did more research and discovered, and visited, long-lost cousins in Scotland while also learning more about her father’s back story. He had been given up because his father was in the poorhouse while his mother had separated from his father and had “lost interest” in her children, according to the documents they found. Joyce is a co-founder of an organization known as the British Home Children Group International, which is lobbying for the apology. Four proposed bills have been tabled in the House of Commons but nothing has passed so far, she said. Life for home children was a mixed bag of experiences, Joyce said. Some were treated well and were made part of the families they lived with. Others had “horrific” experiences. “The large majority,” she said, “were in the middle, like my dad. My dad was not seen as a child. He was seen as a worker. Joyce said her research explained a lot about her father. He didn’t like Scotland, and she could never figure out why. Joyce has researched in detail how the system of home children worked. They were taken to “receiving” and “distribution homes” in Canada before being sent to farms. Her father went to one in Brockville. (One was located in the northwest corner of Norfolk County, said Mary Caughill, chair of the Norfolk Heritage Committee). Home children are an important part of Canadian history, she said. About 3.5 million Canadians are descended from them or about 10 per cent of the population, she noted. This scheme started during the Industrial Revolution, when more and more British families were moving to more urban areas to find work, and leaving behind the traditional practice of living near their families. This meant when they fell on hard times, there were no relatives nearby to help with the children. In response to this, organizations were created around the country with the intention of taking in these children to care for them. These homes quickly became over-crowded and the ‘never turn a child away’ policy of many of these homes became harder and harder to maintain. It was then that they turned to large scale child migration as the solution. Canada, and other countries in the British Empire, needed workers to help with farming across the country. This was seen as a solution to both issues. Often bringing children to an institution was meant to be a temporary solution for parents, who intended to return for them, however, when parents returned, they were told that their children had already sailed. Some institutions would send out a notice beforehand informing the parents that their child would be leaving, others sent an ‘After Sailing’ notice informing them that they were already gone, many sent no notice at all. The children were shipped in large numbers across the ocean and once arriving in Canada, they were taken into receiving homes. From there, they would be sent to farms and homes who had sent in successful applications. Siblings were often separated and the conditions for these children was very poor as they were typically seen as cheap labour, rather than children. For Sandra and Karen, this story hit closer to home, as Sandra told the story of discovering that her father was a British Home Child and Karen shared her husband’s family’s story of taking in a British Home Child and seeing him as one of the family. It is estimated that one in ten Canadians is a descendant from a British Home Child. 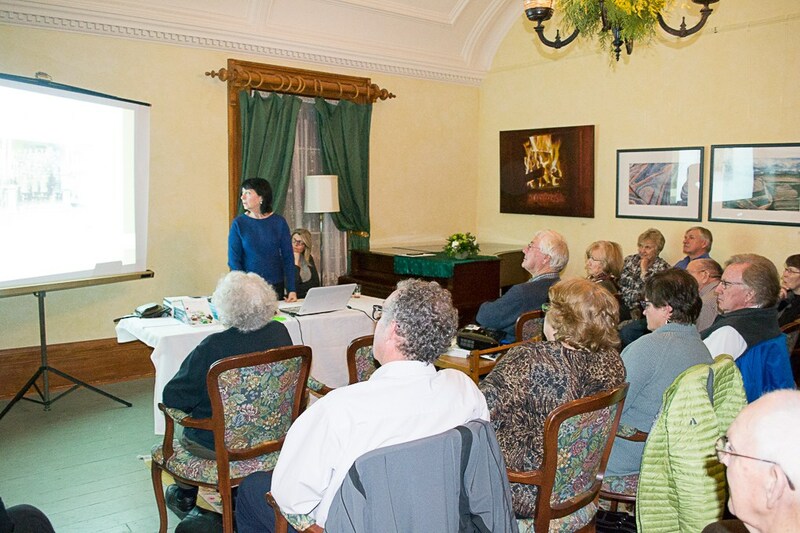 Five members of the audience at Hilliary House knew of ancestors who came to Canada this way, and Karen shared methods of how others could find out.